Looking for fresh t-shirt designs for an area high school. 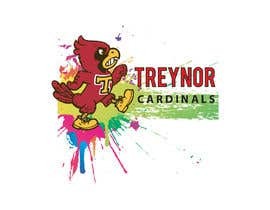 Name of the school is "Treynor" and the mascot is the "Cardinals". A picture of the Treynor Cardinal mascot is attached. 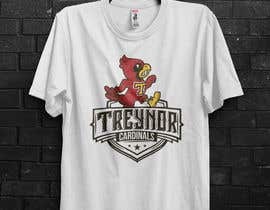 We don't want it specific to any sport--but more looking for creative word design around the words: Treynor and/or Cardinals. Design may or may not include the attached image/outline/etc. of the Cardinal. School colors are red, white, and black. Grays are also acceptable. All entries must be original and free of any copyright violations. We want to take this original artwork and put it on our tshirts. Designs may be specific to a t-shirt color, but must be intended for a red, white, black, or gray shirt. Multiple winners will be awarded (at the award price of $15 per design) if we see multiple designs that we like. We would love to get 5-10 designs in total. Thank you for your entries, and good luck! sir please check my entry #81.. if you any modification needed, let me know !! We realize there is yellow in the "T" on the cardinal mascot, but please no additional yellow on the shirt designs. Thank you! Please stick to red, white, black, and gray.